An end line play opening multiple opportunities for an easy score. Player 1 jumps to the three point line for the easy 3-pointer. Player 3 flashes high and then back to the low post that 1 has left. 2 turns and faces the inbound pass after the screen. 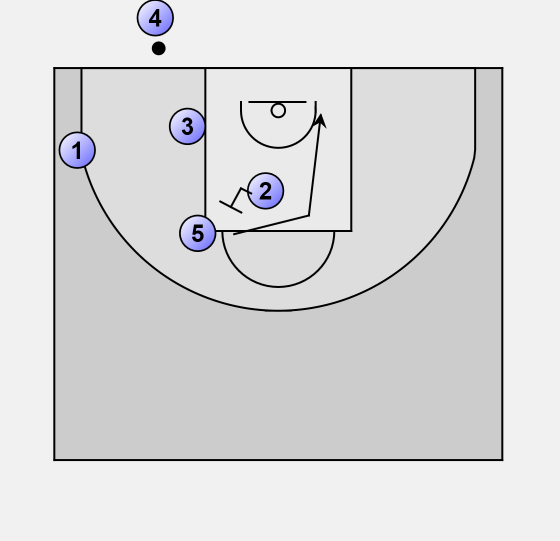 5 would make the layup off the up screen. All four players remain options. If the pass goes to 2, 5 screens for 4. 4 takes the open shot.